An indictment filed by the US Attorney’s Office, accusing a Sri Lankan businessman and five others of defrauding victims of over US$ 50 million, gives insight into an elaborate scheme involving shell companies as well as domestic and international bank accounts. The Sunday Times obtained a copy of the 22-page indictment filed in December 2016, against Rienzi [sic] Edwards, Michael Jacobs, Ruby Handler-Jacobs, F.K. Ho, Lawrence Lester and Rachel Gendreau from the US Attorney’s Office. The records are unsealed. The indictment alleges that an unspecified percentage of the US$ 50 million the group is alleged to have swindled, was sent to bank accounts in Sri Lanka. And, almost immediately after the victims wired their funds, Edwards, Jacobs, Handler-Jacobs and their co-conspirators, “caused the bulk of the funds to be transferred to various overseas bank accounts controlled by Edwards”. In some cases, the investors’ funds were first moved to intermediary bank accounts in the United States controlled by Jacobs and Handler-Jacobs, before being sent to the overseas bank accounts. “In an attempt to further disguise the illegal nature, source, and ownership of the funds, Edwards, Jacobs and Handler-Jacobs typically provided a bogus description, for the purpose of the wire transfers, to the originating banks,” the indictment claims. Apart from statutory allegations, the six suspects are charged with wire fraud; conspiracy to impersonate employees of the United States; impersonation of employees of the United States; aggravated identity theft; money laundering conspiracy; concealment money laundering; and transportation money laundering. They carry with them large fines and prison sentences. Between June 2013 and August 2016, the co-conspirators are alleged to have orchestrated and executed a fraudulent high-yield investment deal known as the “Cities Upliftment Programme” (CUP). They falsely promised investors the CUP would generate extremely high investment returns, a portion of which would be used to help revitalise American cities recovering from the 2008 financial crisis. Their victims were in the US and around the world. The suspects caused CUP investors “to wire over US$ 50 million to various bank accounts located in the United States, Hong Kong and Sri Lanka,” the indictment maintains. “Many of the victims’ wire transfers were sent to or, through Manhattan”. Investors were allegedly duped into believing the CUP was operated by the Federal Reserve Bank of New York (New York Fed) and that, investments would be guaranteed by the US Government. The suspects created and sent them counterfeit New York Fed materials bearing the names of real New York Fed officials. Some “even went so far as to pretend to be New York Fed officials, in order to convince victims to invest in the CUP”. “Instead of keeping the CUP investors’ funds in escrow accounts and using the funds to generate the promised high returns, the defendants simply stole the victims’ money,” holds the indictment. “The proceeds of the CUP scam were then laundered by certain defendants through various domestic and international bank accounts held by shell companies controlled by the defendants”. Throughout the relevant period, Mr Edwards was a Sri Lankan national residing in Sri Lanka. The Jacobs were US citizens living in New Mexico. F.K. Ho was a Singaporean living in his home country. Lawrence Lester was an American residing in Washington State, while Gendreau was also American and lived in Illinois. The CUP scheme was principally devised by Edwards, with the assistance of Jacobs and Handler-Jacobs, and marketed to investors in the United States and foreign countries through various brokers, the indictment records. It was pitched to investors as “a highly exclusive, invitation-only, public-private investment partnership designed to raise capital and generate large returns through an unspecified ‘trading programme’ operated by the New York Fed”. Although their pitch varied from investor to investor, they typically represented that, if an individual invested US$ 1 million into the CUP programme, their principal investment would generate returns of US$ 2 million per day for 74 banking days, or US$ 150 million total, of which, the investor would receive US$ 75 million. The other half would go towards the crisis-struck American cities. The indictment points to numerous lies and misrepresentations by the co-conspirators. For instance, they made it out to seem that the investments were risk-free, because they were guaranteed by the US Government through purported “sovereign guarantees” issued by the cities, to which half of the investment returns were to be directed. “As a condition of participating in the CUP programme, the defendants told investors they were required to keep their participation strictly confidential and not disclose the existence of the CUP programme to any third party,” it continues. On numerous occasions, the co-conspirators sent or, caused to be sent, investment contracts, guarantees, correspondence and other CUP-related documents printed on what appeared to be New York Fed letterhead, and bearing the names and purported signatures of real New York Fed officials, including the president and certain board members of the New York Fed. In some cases, the documents also appeared to bear the seal of the New York Fed. “The defendants typically promised investors they would be invited to the New York Fed’s headquarters in Manhattan to finalise their investment contracts after they invested, which meetings never occurred,” the indictment says. It reveals that Edwards, Jacobs and Ho had even held themselves out to be New York Fed representatives during in-person meetings and in emails with investors. Thus, in November 2013, Edwards, Michael Jacobs and Handler-Jacobs met with a potential investor at a hotel in Hong Kong, “at which meeting Edwards and Jacobs pretended to be New York Fed representatives”. “In addition, on at least one occasion, Jacobs spoke to an investor by telephone while posing as a New York Fed official,” it says. “Many victims invested in the CUP after such meetings and conversations.” The suspects caused the investors to sign bogus contracts, such as escrow agreements and profit-sharing agreements, to which the New York Fed was purportedly a party. Typically, these agreements were countersigned by a purported representative of the New York Fed. They also provided investors with wiring instructions for making their investments in the CUP scheme. Victims were assured that the bank accounts, to which their funds would be transferred and held for the duration of the trading programme, were ‘Interest on Lawyers Trust Accounts’ (IOLTA) or, other types of escrow accounts established and maintained by the New York Fed for the CUP. And they were told their entire principal investment would be returned at the end of the trading programme or, within a short period of time upon the investors’ demand. But, in an attempt to prevent or delay investors from requesting the return of their principal, when the CUP programme failed to generate the promised returns, Edwards, Jacobs, Handler-Jacobs, Ho, Lester and Gendreau are alleged to have made or, caused to be made, additional misrepresentations to investors. Rienzie Edwards is a Sri Lankan investment banker and property owner. 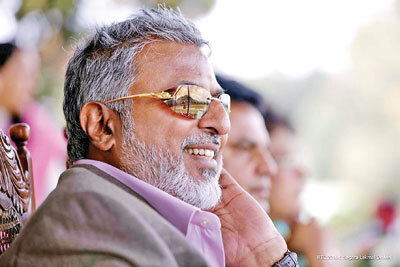 In 2015, Sri Lanka’s Financial Crimes Investigation Division (FCID) took him and his wife, Punya Priyanthi Menike, to magistrate’s court, saying they had allegedly smuggled in more than US$ 40 million. Reports say the file was sent to the Attorney General’s (AG) Department for advice, after which nothing was heard. But sources close to the couple insist the case was “settled”. The Sunday Times contacted Mrs Edwards yesterday. She said her husband was participating in religious “poojas” and would call back no sooner he was free. He has earlier denied involvement in the crimes he has been indicted for, saying he does not know any of the other suspects. The New Mexico AG filed charges against the couple. But they “dodged a bullet”, because they weren’t tried quickly enough, Mr Drawhorn states. He says people who worked for the Jacobs at the time, told KRQE News 13 the couple had taken their money too. Meanwhile, the Straits Times in Singapore reports that an 80-year old Singaporean named Ho Fook Kee (F.K. Ho) is being investigated by the Commercial Affairs Department (CAD) there, over his role in the US scam. The newspaper also said he is currently out on bail for a case unrelated to the US scam. Journalist Tan Tam Mei tracked down Mr Ho’s full name and employment history. He was formerly a director and owner of numerous companies in the oil and gas industry. Additional court records obtained by Straits Times showed that Ho, together with his accomplices, not only lured a lawyer in Hong Kong into the scam, but also duped him into acting as a money mule. “The lawyer transferred US$ 31 million, including his own monies, to the syndicate’s accounts,” the newspaper states.